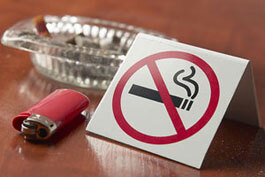 Two Ways To Quit Smoking with Hypnosis! Our "Stop Right Now" program is a one-on-one session and is designed for the person who is highly motivated to quit smoking. This person has probably smoked less than ten years and has easily quit before, but just has difficulty making it last. Three sessions are scheduled a week apart. You must attend the three sessions even though you will probably stop smoking after the second session. You need the third one to make it permanent. We want you to be a non-smoker for life. YOUR success is OUR success! Our "Hard-Core Smoker" program is also a one-on-one session and is for the person who has tried to quit many times before, and every time they try to quit, it has been too upsetting or stressful. Sometimes family members will even beg this type of smoker to start smoking again. Usually, these people have smoked 10 years or more. This smoker has a deep emotional attachment that needs to be neutralized. This usually takes 5 sessions.